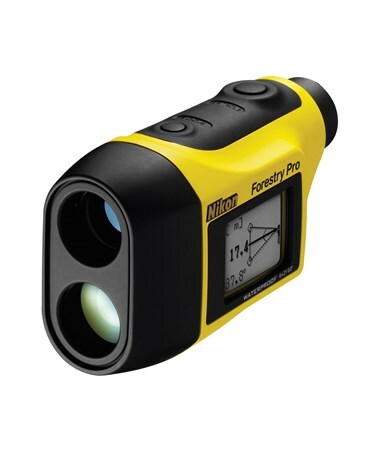 With its invisible, eye-safe, infrared laser, the Nikon Forestry Pro Laser Rangefinder is the ideal surveying tool for measuring distances, angles, and heights in wooded areas. It can take measurements up to 999 feet away with an accuracy of ±3 feet. 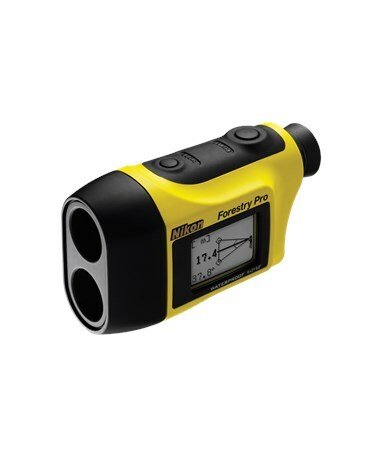 In addition, the Forestry Pro performs three-point measurement (height between two points) and provides single or continuous measuring modes. This Nikon rangefinder also calculates inclinations up to ±89 degrees. 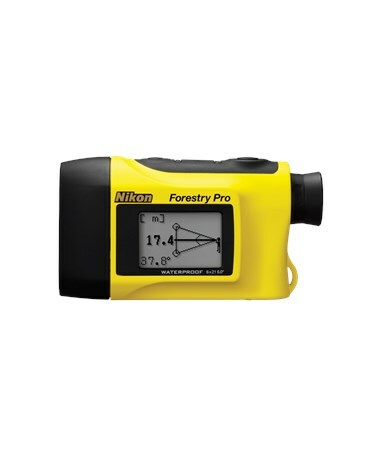 Featuring two LCD panels, the Nikon Forestry Pro’s in-scope LCD shows results in feet, yards, and meters and allows surveyors to keep an eye on their target during measurements. On the other hand, the external LCD shows all the calculations simultaneously for easy reference. This laser rangefinder also has a Target Priority Switch System that displays either the closest or the farthest subject, making it perfect for measuring the distance in front of an overlapping background. 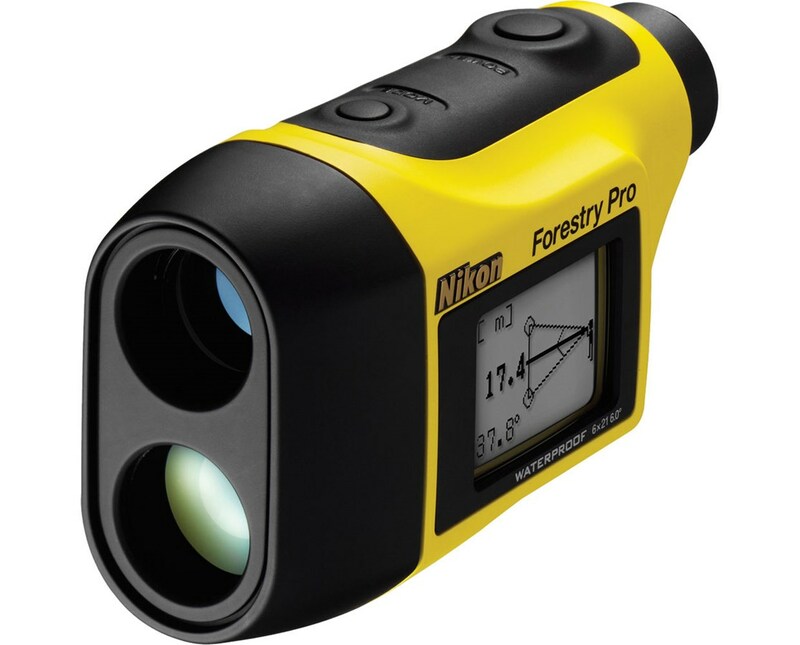 The Nikon Forestry Pro laser rangefinder is constructed of high-quality multi-coated optics with 6x magnification for bright and clear images. Compact and lightweight, it is fog proof and can be submerged up to three feet in water for approximately 10 minutes. It also comes with a 1-year manufacturer's warranty.